A quick look at the table below show a number of things, we have ordered by the growth percentage but this may not be the best way to reflect true growth as teams like Arsenal, Chelsea & Manchester United appear in the bottom half even though each of these clubs gained over 2 million followers in the year. 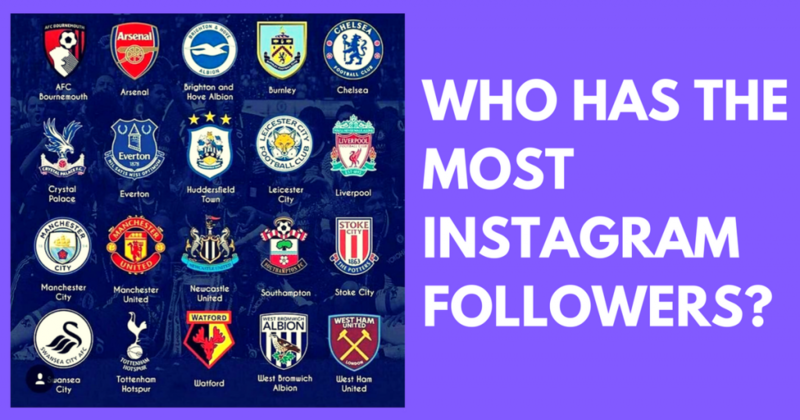 Two clubs that stands out on this list are Liverpool & Tottenham who grow by over 50% and gained over 5 million & 1 million followers in the process. Both sides had a good season finishing in 3rd and 4th place. Looking at the sides who were relegated last season (West Brom, Swansea & Stoke) it is interesting to see that the growth percentage here was on the lower side which suggests performance could have had an impact, either by fans unfollowing or a lower number of new fans. Previous Previous post: Introducing Stories Widget referral commission!